lebua Hotels & Resorts, an international luxury hotel chain with properties in Bangkok and New Zealand, has outlined plans to foray into the Indian market. Here Breaking Travel News sits down with chief executive Deepak Ohri to see what the future holds. Internationally acclaimed for its innovative business strategies and use of cutting edge research and technology, lebua is aiming to venture into India in the next two years with three to four properties in major metropolitan centres across the country. Each property in India will have around a hundred rooms and minimum three restaurants with a bar each. lebua is not planning on any investments in India but is currently in talks with prospective partners for each of these hotels. “For lebua Hotels & Resorts the location of the hotel is not of prime most importance, but the overall experience of sheer luxury and opulence that will take precedence,” added Ohri. lebua will bring to India their invaluable years of experience in understanding their guests needs including; privacy, which is the top priority for their celebrity guests, cutting edge restaurants and a different level of experience for their customers. Even though many of the guests at lebua Hotels are well known names and celebrities, lebua believes in giving equal importance to all their guests, with no special status given to anyone resulting in the ‘normal person’ experience that celebrities crave for but never get. lebua places a lot of importance on customer feedback, drawing from their invaluable suggestions to make the stay of lebua guests as memorable and customized to their needs as possible. “India is more experiential than China when it comes to luxury,” continued Ohri. “Chinese people do not buy things for experience, but for the price tag, but for lebua, like for India, luxury is an experience that extends beyond the price. “That is what has convinced me that this country has the potential to become one of the world’s biggest luxury markets. “The customers here know what they want and we at lebua are ready to give them what has been sorely missed until now. “If a guest is ready to experience the experience, then lebua makes sure they experience the experience,” added Ohri. With its restaurants rated as some of the world’s best, lebua has now broadened its horizons to New Zealand and plans destination restaurants at Sydney, Hong Kong and London. The invitation only chateaus (tentative pricing at €8,000 a night) in France will mark lebua’s entry into the European luxury accommodation market. But, for the moment at least, the lebua name rests on the success of the Lebua at State Tower – which was recently recognised by the prestigious World Travel Awards as Thailand’s Leading Lifestyle Hotel. The finest five star executive all-suite, all-club hotel in Bangkok, the property offers breathtaking views over the city and the Chao-Phraya River from balconies in each of its spacious suites. Each of the 221 suites on the 51st to 59th floors come with Finesse mattresses, 330 thread count linen, down feather pillows, and all the amenities to ensure an unforgettable stay. Tower Club guests can enjoy such privileges as exclusive-to-lebua Bvlgari amenities, free soft drinks in mini-bar, complimentary in-suite broadband Internet access, LCD television monitors with free video on demand, and priority dining reservations at The Dome. Guests also have access to the Tower Club Lounge on the 52nd floor, where complimentary canapés and drinks are served daily in addition to afternoon high tea. 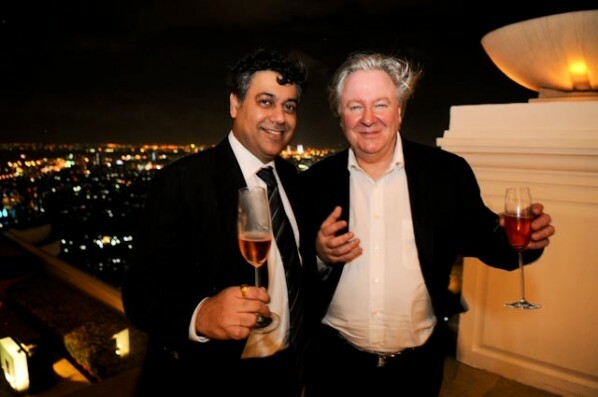 Indeed chief executive Deepak Ohri has been one of the driving forces behind the success of the lebua brand. Joining the organisation as its first employee, Ohri created Bangkok’s best culinary destination – The Dome at lebua. The Dome houses a collection of stunningly beautiful restaurants such as Sirocco, Mezzaluna and Breeze, which are of international culinary acclaim and have won countless awards. 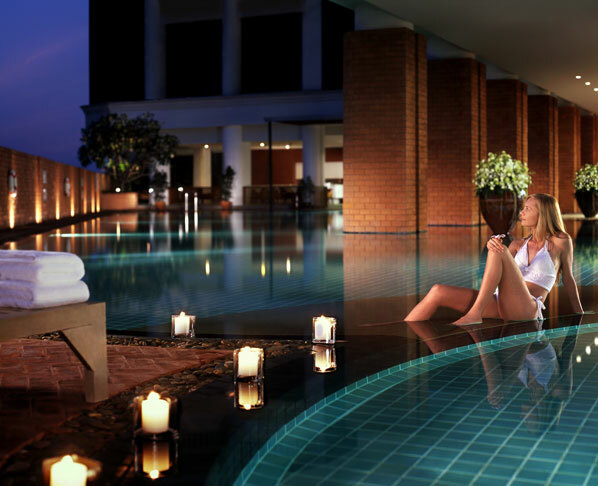 Ohri subsequently created lebua Hotels & Resorts as a luxury hotel collection that includes market-leading properties Thailand and an ultra-luxury lodge in New Zealand. Drawing on a career that includes operational and executive roles with companies such as Kempinski and Taj Hotels, Ohri has deep experience in the international hospitality industry. He also brings an entrepreneur’s innovative spirit to his role as chief executive. A celebrated speaker on luxury and strategy, Ohri has presented at events such as the Financial Times Business of Luxury Summit and Cityscape Asia. He has also lectured at leading management schools such as INSEAD and Harvard Business School. He is a member of the World Travel & Tourism Council (WTTC) and serves on an advisory board of Singapore’s Cornell-Nanyang Institute of Hospitality Management.